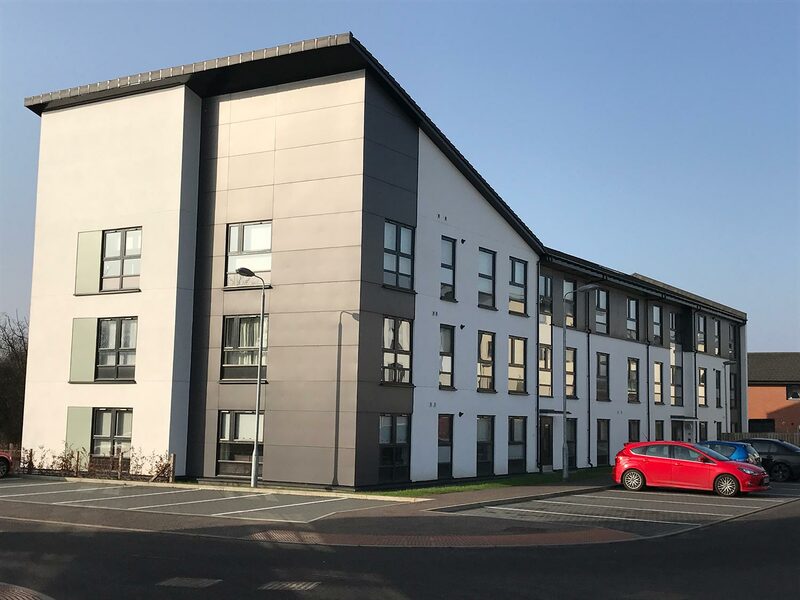 This development consists of 54 one and two bedroom flats, split across four blocks on a site adjacent to the Forth and Clyde Canal in Dalmuir. The site is configured as a courtyard, with the four blocks arranged around a central amenity area providing parking and a landscaped communal open space, as well as a pedestrian connection onto the canal towpath which forms the site’s northern boundary. 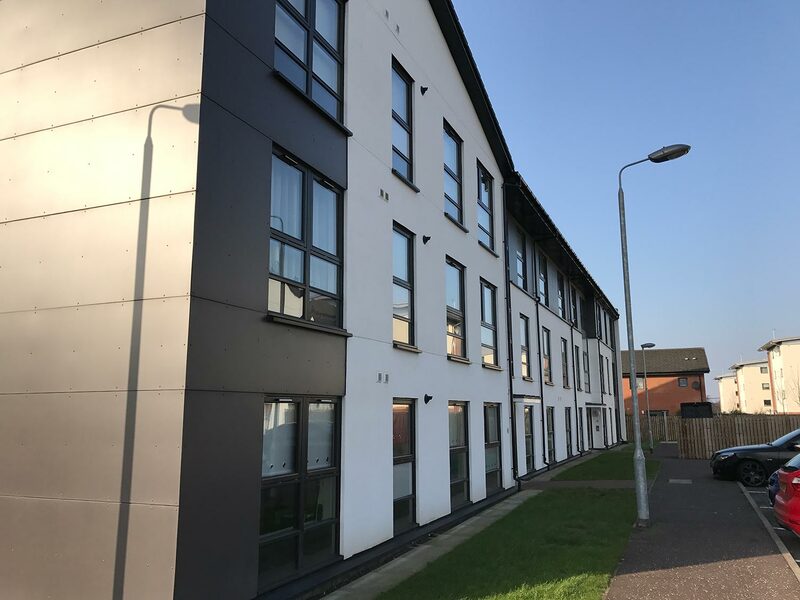 Two larger blocks are set on either side of the site access to create a robust street frontage onto Beardmore Place, with the remaining blocks configured to open up the site to the canal. The four blocks share a crisp and contemporary render aesthetic, countered by the use of coloured cladding at close entrances. The blocks on Beardmore Place employ varying green tones to reflect the dense landscaped ‘wedge’ of the former railway directly opposite, whilst the blocks on the canal use blue shades to suggest a link with the waterway. The site is completed by new soft landscaping around its perimeter to provide a more sympathetic integration with the surrounding environment.